Swedish director and pictorial artist. Born as Gunvor Grundel in Stockholm 1931, raised in Kristinehamn, Värmland County. Film teacher at the San Francisco Art Institute 1970-1992. 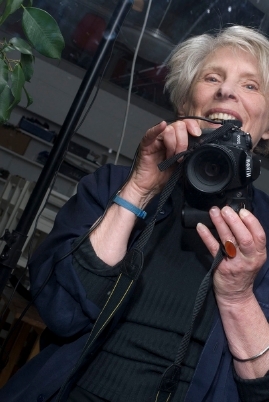 Gunvor Nelson is one of the most highly acclaimed filmmakers in classic American avant-garde film. She grew up in Kristinehamn. Her mother was a teacher and her father was the owner and editor-in-chief of the local newspaper, Kristinehamns-Posten. On leaving school she studied at the University College of Arts, Crafts and Design in Stockholm, but moved to the US and California in 1953 to study art and art history. Nelson met her husband-to-be Robert Nelson when she was studying at the California School of Fine Arts (from 1961 onwards, the San Francisco Art Institute). Robert Nelson is one of the great humorists of the American avant-garde. The Nelsons were a vital part of the new film culture that evolved in the San Francisco area and they played a key role in one of America's oldest and most respected film cooperatives, the Canyon Cinema. Gunvor Nelson made her first two films together with Dorothy Wiley, wife of the artist William T. Wiley, who in turn made films with Robert Nelson. Gunvor Nelson and Dorothy Wiley's debut Schmeerguntz (1966) is a humorous and grotesque feminist classic in which the everyday reality of a young mother is contrasted with the ideal of the American woman. An uncompromising filmmaker, Nelson has a unique voice in experimental cinema. She regards her own works as "personal films", a recurring element of which is the connection with her own life and experiences. The early films are based around the experiences of a younger woman, culminating in My Name Is Oona (1969), an expressive portrait of her daughter, and Moons Pool (1973), an existentially expressive underwater journey which centres on her own body. With Trollstenen ('The Magic Stone', 1976), which centres on Nelson's family and upbringing, she began a series of films about Kristinehamn and her family. Typically for Nelson, elements which are local and private fuse together with the general and universal. Nelson's family and generational study Red Shift (1984), and her painfully sensitive portrayal of her dying mother in Time Being (1991) are regarded as the high points of her family and hometown productions. Around this time (1983-1990) Nelson also made a total of five different collage films at Filmverkstan in Stockholm, works which give free rein to her own associations and her experimentation with animated images. These films are often regarded both as Nelson's most demanding and most creative works. Nelson moved back to Kristinehamn and Sweden in December 1992, a homecoming already hinted at in her rhythmically edited collage film Frame Line (1983). Having returned to Sweden she quickly moved on to digital video and was rediscovered in Swedish art circles, resulting in a number of awards and retrospectives both at home and abroad. 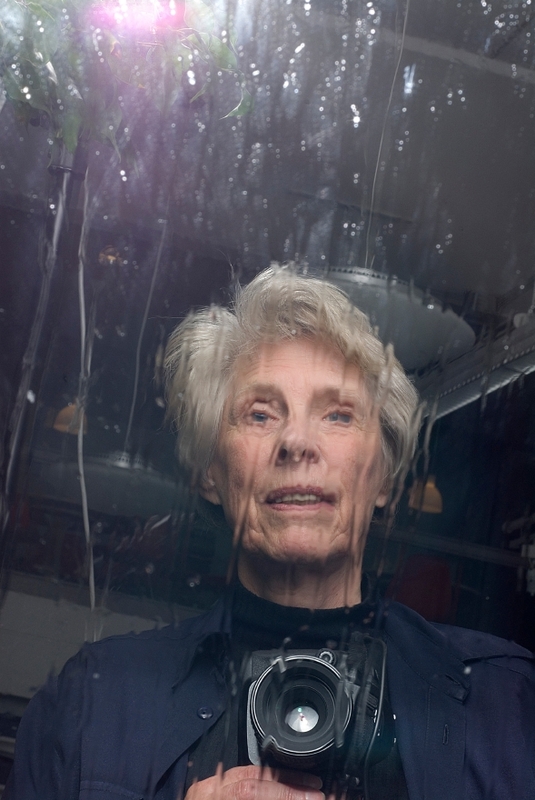 Gunvor Nelson has also influenced several generations of filmmakers in her role as a teacher, primarily at the San Francisco Art Institute (1970-1992).